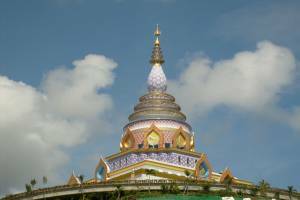 Wat Thaton occupies an area of more than 160 acres and spreads over several rolling hills. The temple is situated on the bank of the Mae Kok river and offers beautiful scenery. Capacity: 20 persons (Reccommend booking two weeks in advance). We request new students stay for a minimum of 7 days for their frist retreat. Description: The retreat is widely open for both beginner and experienced meditatiors. On the retreat, all mediatators are requested to keep silence at all times except when giving meditation reports.